All Rustic Ranches Estates homes currently listed for sale in Wellington as of 04/21/2019 are shown below. You can change the search criteria at any time by pressing the 'Change Search' button below. 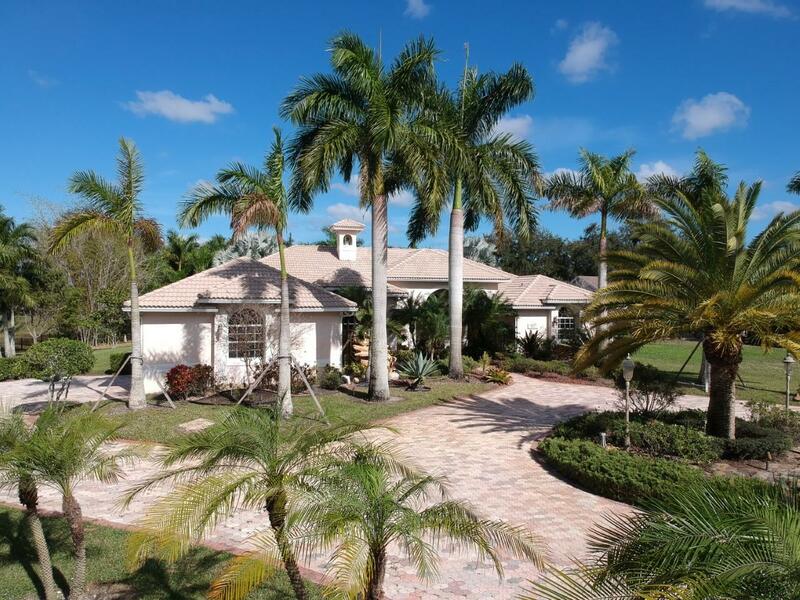 "Beautiful property located in the desirable community of Wellington, Rustic Ranches, featuring a rare find main home and guest house containing 7,021 sq feet Under Air! 5 private, high & dry, acres with plenty of space to add a barn & ring. Main house has 3 bedrooms w/on-suite bathrooms ,1 half bath, marble floors, granite counter tops, new appliances, crown molding, vaulted ceilings and a luxurious master with a separate sitting room. Perfect for outdoor entertaining with a screened in lanai with tile and brick paver. The 2 bedroom/2 bath guest house completes this estate. Rustic Ranches offers bridle paths to the horse shows, easy access to riding trails. City water available.Main house: 3310 Sq under air, 4620 sq ft total. Built in 2004.Guest House: 960 Sq under"